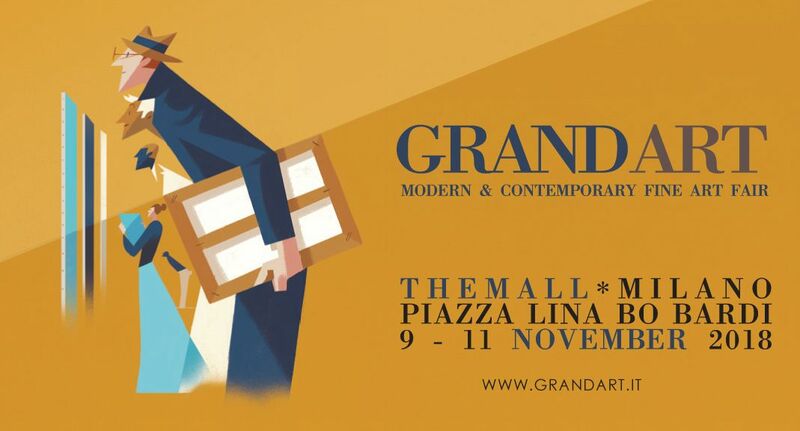 GRANDART is a new modern and contemporary art fair whose second edition takes place in the spaces of The Mall in Milan, 9-11 November 2018. Among the participants, are Italian and international galleries that focus on the field of painting, sculpture and applied arts maintaining a close connection with techinques, aesthetics of materials and art history. The values of know-how and the search for solutions addressing the notion of beauty and seeking it in the present are the criteria for selecting the artists in the show. A number of artists from the classical and modern scene, among them some true re-discoveries, are joined by a selection of current names in contemporary art and emerging young artists. The Mall is a 4000-squared-meters space located in one of Milan's new centres and already a venue for international fairs, such as MIA Photo Fair Milano. GRANDART will be supported by a national and international communications system.